Bruno D’Amicis was born in Rome in 1979. He now lives and works mostly in the shadow of Italy’s Apennine mountains. A nature enthusiast since his childhood, Bruno has a degree in Biology and has been a full-time nature photographer since 2004, his main focus being the conservation of natural habitats and biodiversity. His photography awards include 1st prize in the category ‘Nature singles’ at the World Press Photo 2014, 1st prize in the category ‘World in Our Hands’ at Wildlife Photographer of the Year 2014 and the Fritz Pölking Prize for overall winner of GDT in 2015. Bruno has travelled extensively in Europe, Asia and Africa in pursuit of photographic projects, was a contributor to Wild Wonders of Europe and has worked on assignment for National Geographic in Tunisia and Madagascar. 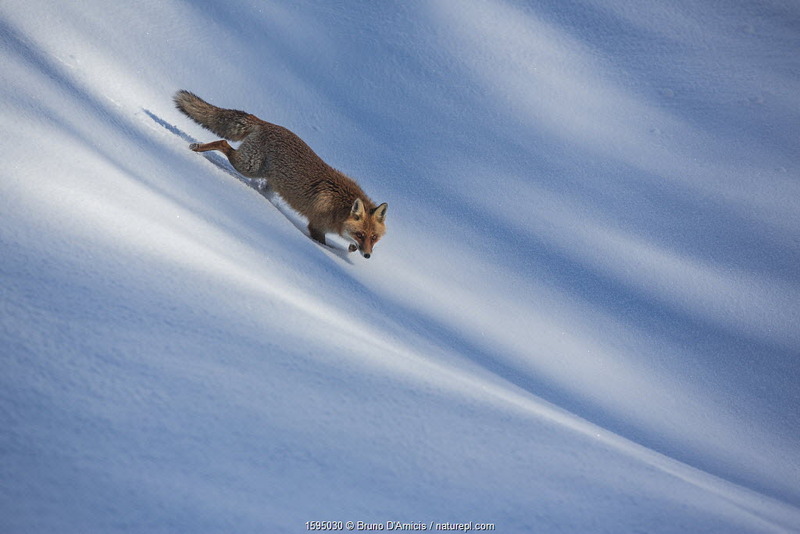 He has published books on the Apennine chamois, the Brown bears of the Tatras Mountains, and wild wolves in Italy. 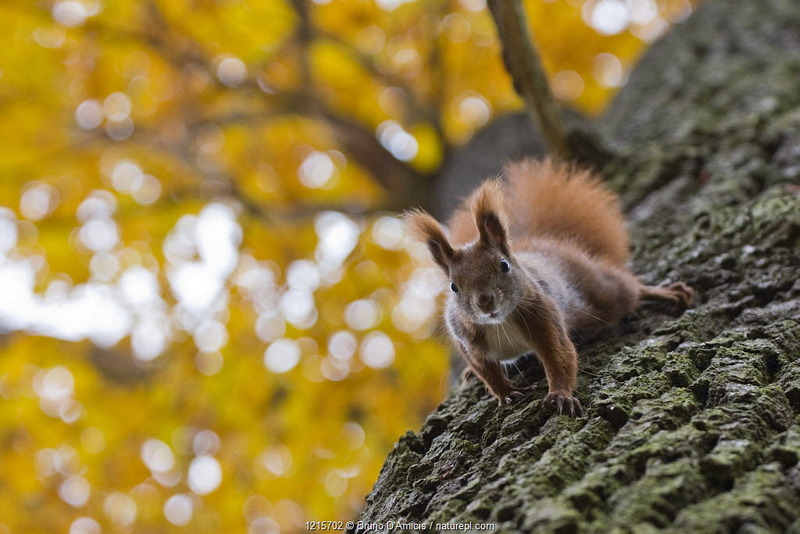 He is currently working on a book on the primeval beech forests of Italy, due for 2018 publication, and on a study of the critically endangered Marsican brown bear. Find an expanded gallery of Bruno D’Amicis’ work here. 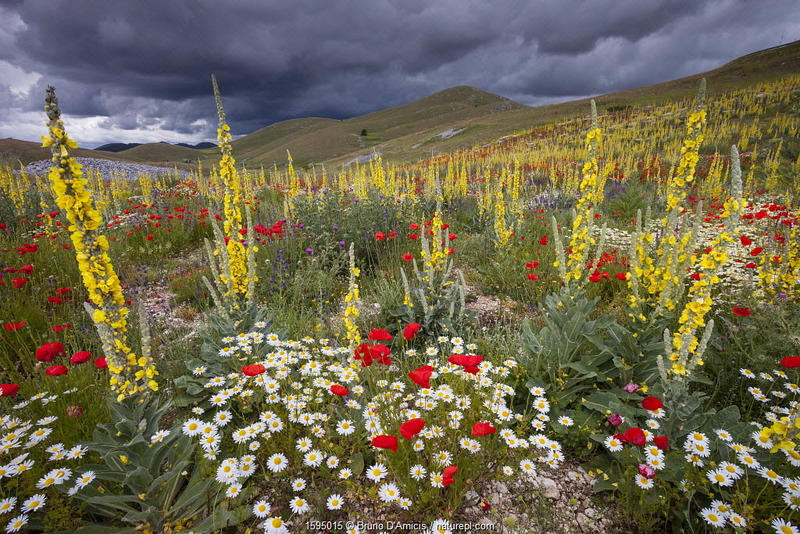 Common mulleins (Verbascum thapsus), Poppies (Papaver rhoeas), and Daisies flowering in mountain pasture. 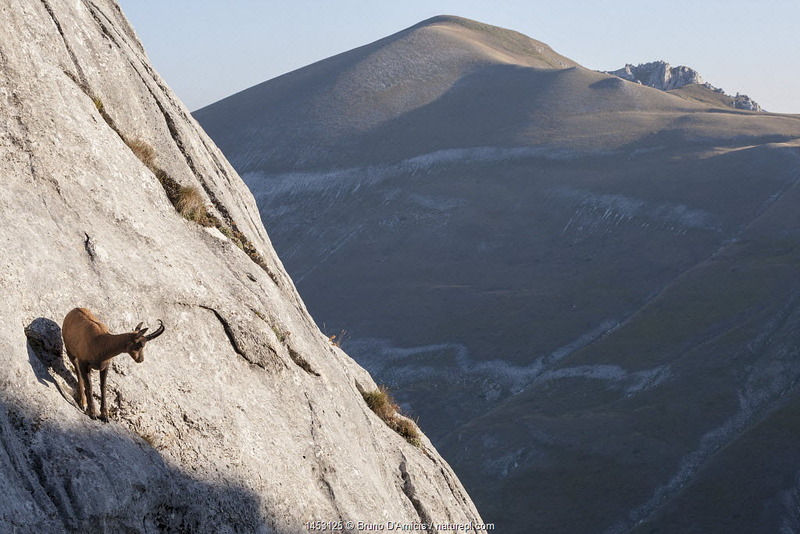 Gran Sasso National Park, Central Apennines, Abruzzo, Italy, June. 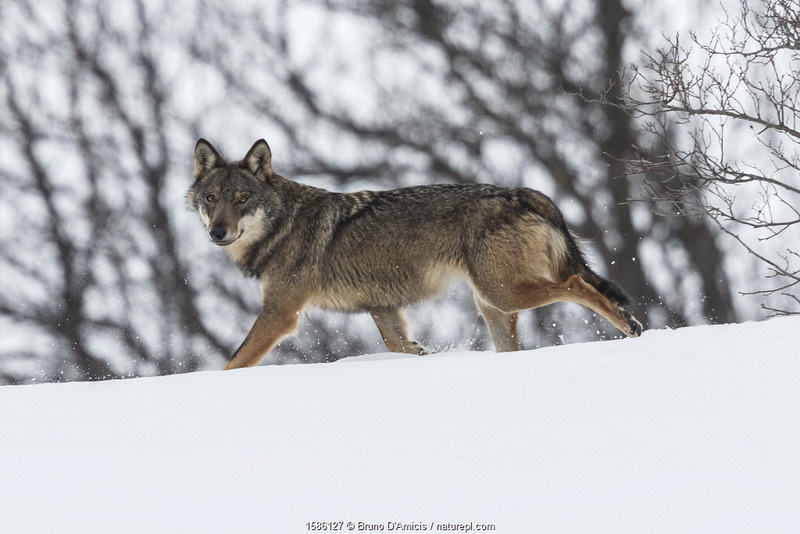 Wild Apennine wolf (Canis lupus italicus) in snowy landscape. Central Apennines, Abruzzo, Italy. February. Italian endemic subspecies. 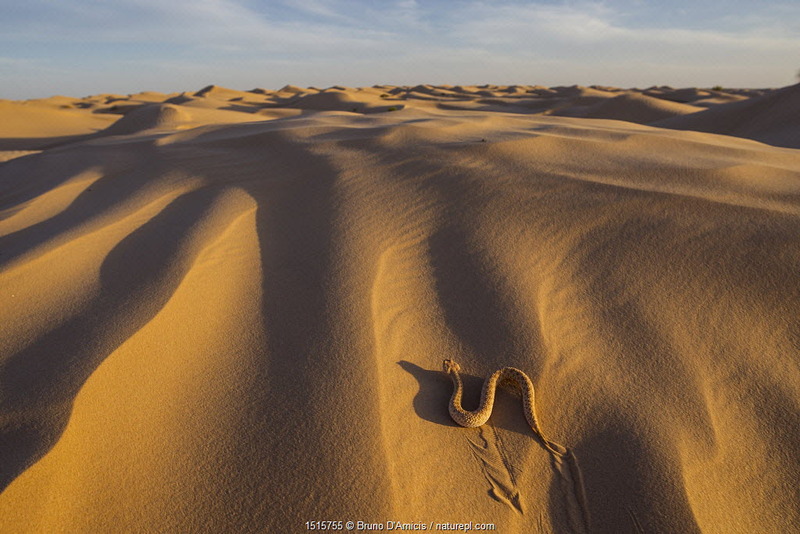 Sand viper (Cerastes vipera) sidewinding on sand dunes. Grand Erg Oriental, Kebili Governorate. Tunisia. 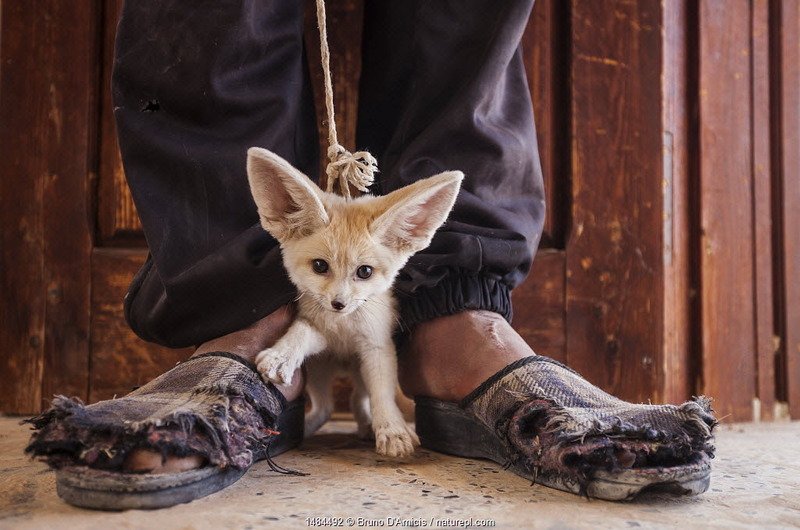 Young Fennec fox (Vulpes zerda) cub, offered for sale to the photographer by the young man who trapped it in the desert. Kebili Region, Tunisia. 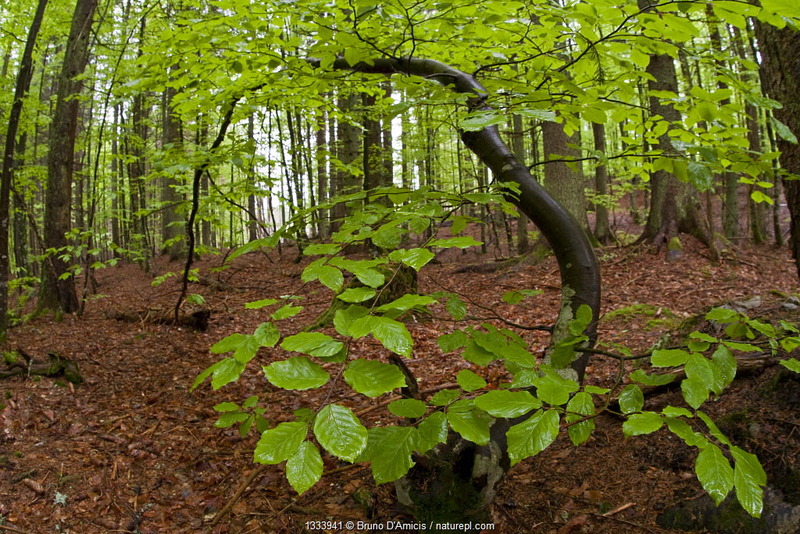 Young Beech (Fagus sylvatica) with new foliage in forest. Bayerischer Wald National Park, Germany, May.